Qualified Female Driving Instructor based in Selby, York, Pontefract and the surrounding areas. Well done to Aaron Friar who has passed his driving test FIRST TIME today in Pontefract. Our first test and first pass of the year and thoroughly deserved! Merry Christmas and Happy New Year to learners past and present! Thanks for your business and support over the past year, especially the past week with the car problems! Well done to everyone who has passed their driving test this year. Here’s to many more in 2016! Congratulations to Beth Coates who just passed her driving test in York!! Really well deserved. Well done! 20.11.15 – Well Done Kerry-Ann! Congratulations to Kerry Ann Hamilton who passed her driving test today in York with just 4 minors. Well deserved and worth the early start! Well done Kerry! 05.11.15 – First Time Pass for April! 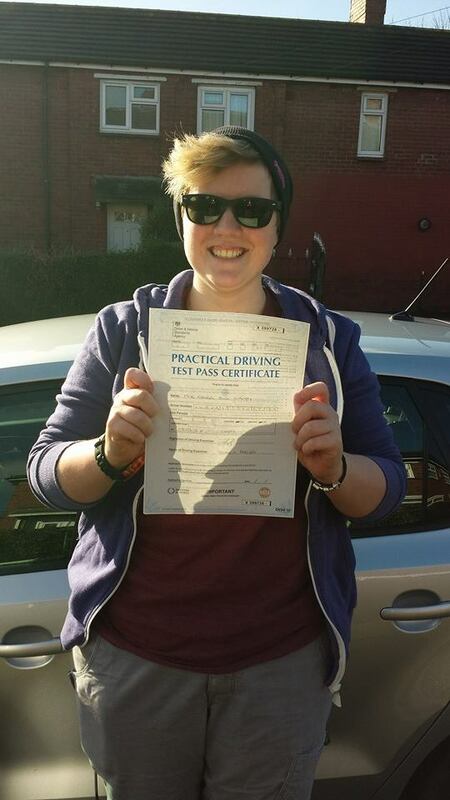 Congratulations to April Burton who has just passed her driving test first time in Pontefract! April passed with 7 minor driving faults on some very busy roads. Really well done April for an excellent drive and first time pass! Well done to Aaron Shaw who passed his driving test in Pontefract this morning with just 4 minors. A well deserved pass by a great driver. Congratulations! Well done to Dylan Tonks who completed his Pass Plus course this weekend in dreadful fog! Definitely covered the Bad Weather module! 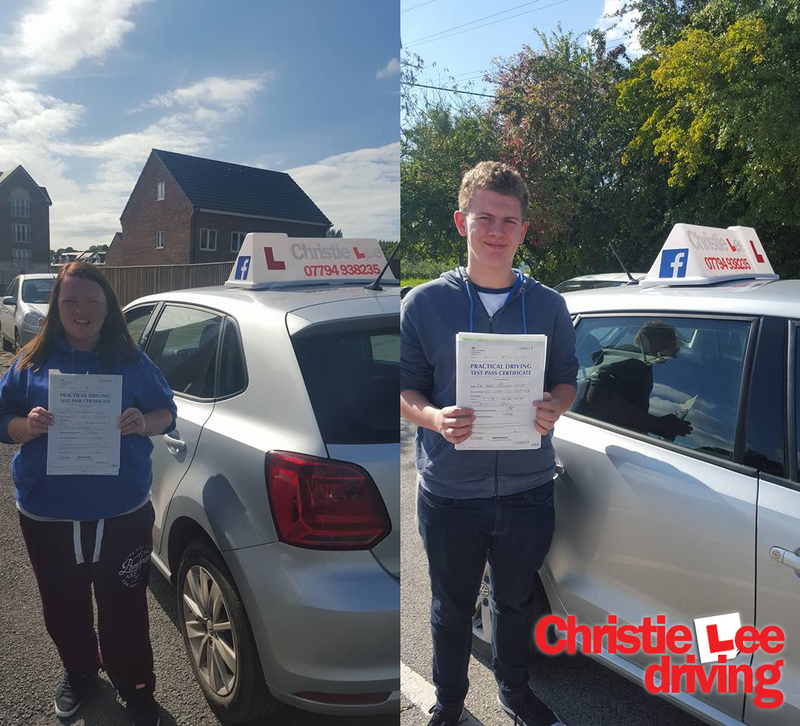 Congratulations to Kate Sordabak & Peter Wright who both completed their Pass Plus course this week. A great achievement and two very safe drivers. Well done! The course includes motorway driving and bad weather driving and not only helps boost your confidence on the road but, in some cases, can save you money on your car insurance. To find out more click here or ask in the car. 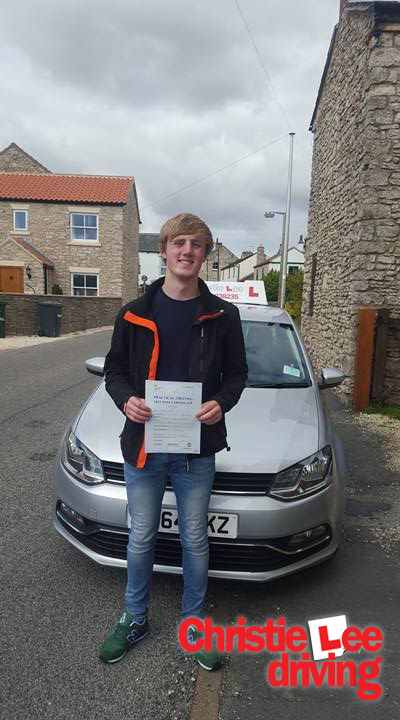 Congratulations to Dylan Tonks who passed his test today in York with just 4 minors. With today being his birthday it was cause for double celebration. Dylan drove really well and deserved such a good pass after all the work he’s put in. Well done Dylan! 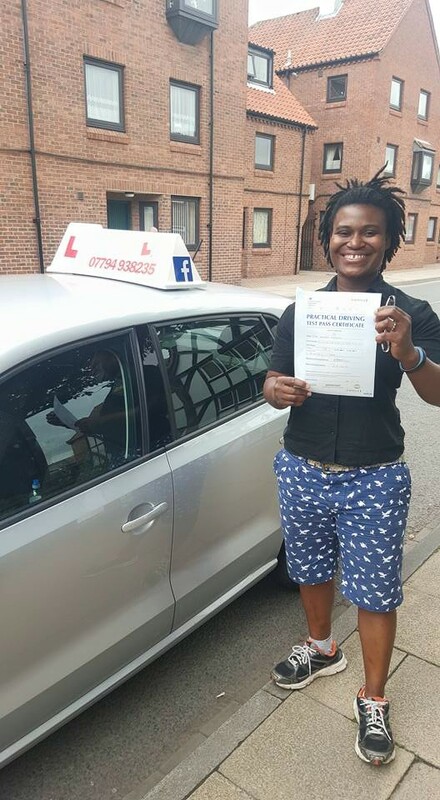 17.09.15 – Two First Time Passes! Well done to Jenny Pickard who passed her driving test with just 5 minors. Jenny proved she is a safe and competent driver and completely deserved this pass! Congratulations! 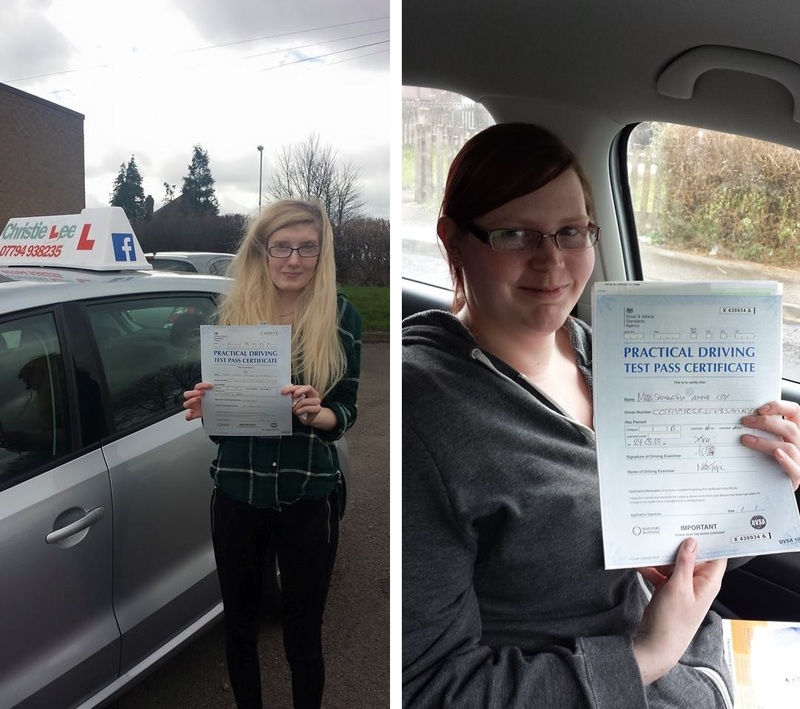 01.09.15 – First time pass for Kate! Congratulations to Kate Sordabak who passed her test first time with only 2 minors. The examiner said she didn’t have any doubts that Kate would pass and that she was a very safe driver. Completely true and we’ll deserved. Well done!!!! Congratulations to Danielle who has just passed her driving test in York with just 2 minor driving faults. An excellent drive in horrible weather and a deserved pass! Well done Danielle!!!! 11.08.15 – Well done Liberty! Congratulations to Liberty who passed her driving test FIRST TIME this morning in Pontefract. An excellent drive with only 4 minor driving faults. Really well done – well deserved! Congratulations to Ade who passed her driving test in York with just 2 minor driving faults. She had a fantastic drive and really deserved this pass! Well done! Remember, as of today, the paper counterpart to the photocard driving licence will not be valid and will no longer be issued by DVLA. The counterpart was introduced to display driving licence details that could not be included on the photocard. These details include some vehicle categories you are entitled to drive and any endorsement/penalty points. This can now be found online. There is now an online service to check someone’s driving licence information, eg. the vehicles they can drive or any penalty points or disqualifications. To use this service, click here. Instead of asking you to bring your paper counterpart with you on your first lesson, driving instructors will now use this service, asking you to provide them with a ‘check code’ before your lesson. Drivers can view their driving licence information online and generate a check code to share details with third parties at www.gov.uk/view-driving-licence. 24.03.15 – 2 passes in 2 days! Congratulations to Carrie Simpson (left) who passed her test in York on 23rd March. 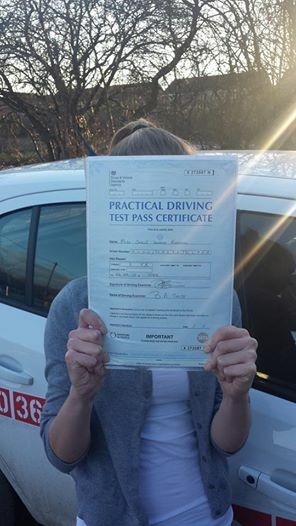 Carrie passed with 7 minors despite having the worst cold ever. Well done Carrie and get well soon! And well done to Sam Coy (right) who passed her driving test in York on 24th March with only 4 minor driving faults. 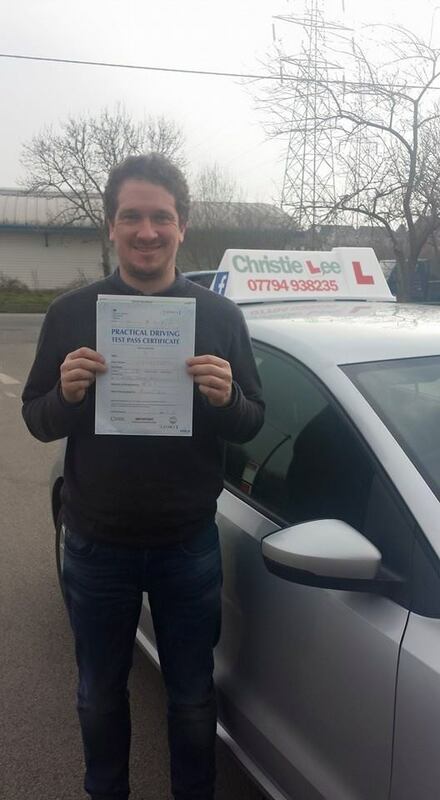 Sam had taken two tests previously with other driving instructors but passed first time with Christie Lee Driving. Well done to Richard Watson who has passed his driving test in York with only 3 minor driving faults. Really well done Rich – you deserved it. Congratulations to Rachel Roberts who passed her driving test FIRST TIME in Leeds Harehills this morning. Due to working away for months at a time, Rachel took an intensive course and passed in just over 20hrs. This first time pass is a credit to her excellent driving. Well done Rachel! 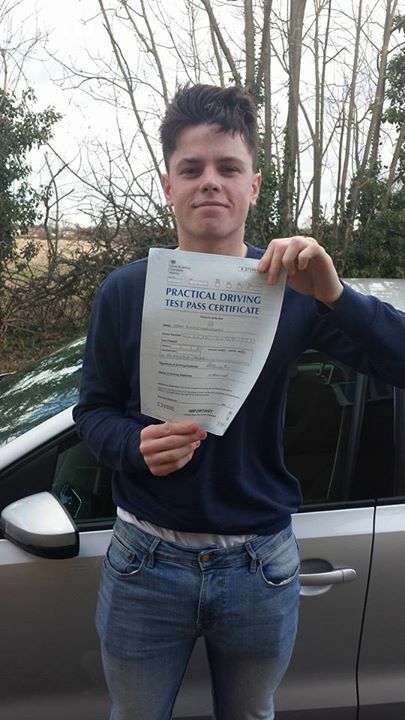 Congratulations to Jake Hargreaves who passed his test first time in York with 7 minor driving faults. Jake drove really well and deserved this first time pass. Well done Jake! Well done to Carlie Rodwell who passed her test first time in York with just 4 minor driving faults. The examiner said Carlie drove really well considering everything that was thrown at her (ponies and more!) Really well done Carlie. You deserved this first time pass. A great driver!